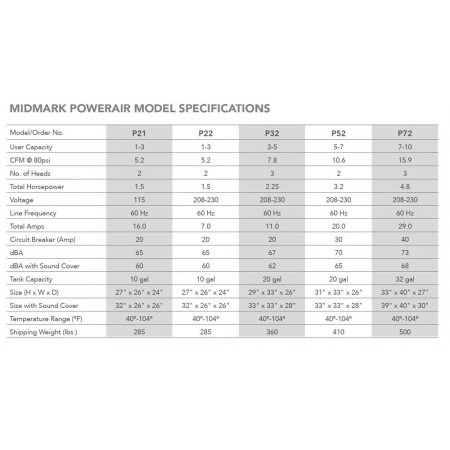 Midmark PowerAir® oil-less dental compressors satisfy the high standards demanded by today’s dental professionals. 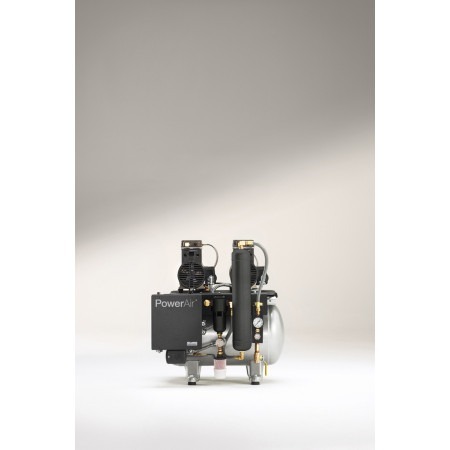 Our compressors provide greater cubic feet per minute (CFM) of compression than the competition, while filtering out 99.9997% of compressed air contaminants. 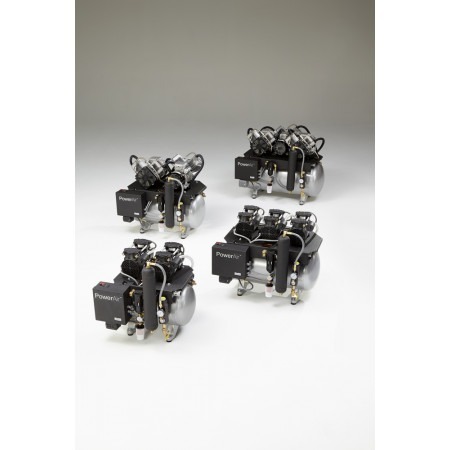 Midmark PowerAir® oil-less dental compressors satisfy the high standards demanded by today’s dental professionals. 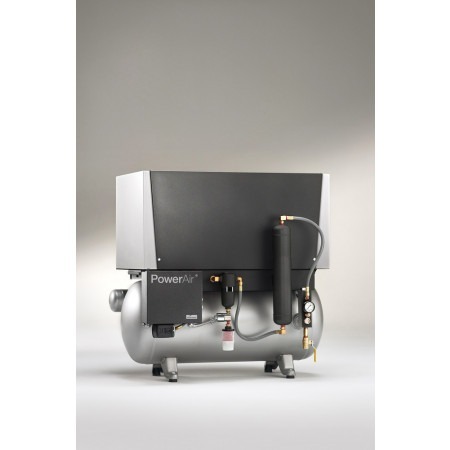 Our compressors provide greater cubic feet per minute (CFM) of compression than the competition, while filtering out 99.9997% of compressed air contaminants. With quiet operation and an unmatched, exclusive 5-year product warranty, you can be confident of reliable operation for years to come. Overall Dimensions H x W x D: 27" x 26" x 24"
Overall Dimensions with Sound Cover H x W x D: 32" x 26" x 26"
Overall Dimensions H x W x D: 29" x 33" x 26"
Overall Dimensions with Sound Cover H x W x D: 33" x 33" x 28"
Overall Dimensions H x W x D: 31" x 33" x 26"
Overall Dimensions H x W x D: 33" x 40" x 27"
Overall Dimensions with Sound Cover H x W x D: 39" x 40" x 30"